Peppermint and spearmint are grown in the U.S. commercially on close to 100,000 acres with peppermint comprising 70% of the acreage. Mint crops are grown to extract the oil produced in glands on the plant’s leaves. The U.S. produces about 9 million pounds of mint oil which is used to flavor chewing gum, toothpaste, pharmaceuticals and liqueurs. One drum of mint oil weighing 400 pounds can flavor more than 5 million sticks of chewing gum or 400,000 tubes of toothpaste. Mint crops are harvested mechanically and any weeds in the field are harvested along with the mint. If the weeds are processed along with the mint, the mint oil loses its flavor; as a result, mint growers use herbicides to prevent weeds from contaminating the mint oil with off-flavors. “Mint oil yield is reduced when weeds compete with mint for light, nutrients, and water. Mint oil quality is reduced when weeds impart off-flavors and odors to mint oil during distillation. The demand for mint oil is based on its desirable flavor and odor. Mint oil is used to flavor medicines, toothpaste, candy, and chewing gum. If mint oil is contaminated with undesirable flavors or odors then its quality is downgraded. Unfortunately, many weeds harvested with mint hay impart off-flavors to mint oil during distillation. This results in a reduction of mint oil quality and price. In one study, the oil from hay containing 5% pigweed was not marketable. 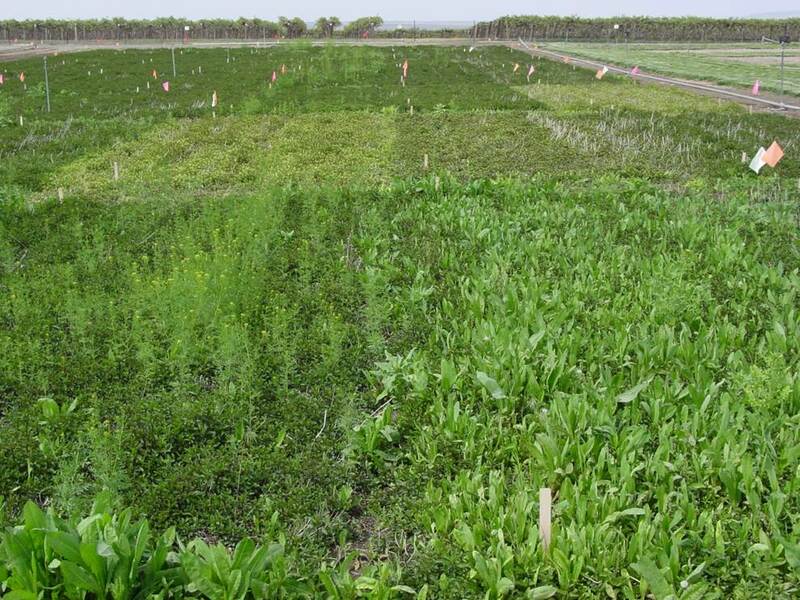 3.2 Horseweed plants per square yard would make the mint oil unmarketable. Affiliation: Dept. of Crop and Soil Science, Oregon State University. Title: The Effect of Weeds on Mint Oil Yield and Quality. 1993. This entry was posted in Herbicides and tagged chewing gum, Herbicides, Mint crops, mint oil, Peppermint, spearmint, tooth paste, U.S. by pesticide guy. Bookmark the permalink.